Any business that is on social media needs to know how to effectively use hashtags. 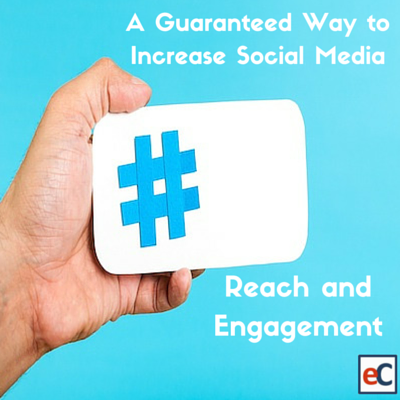 Integrating hashtags into your social media posts can greatly increase the chances of them being seen. Before we dive into how and why to use hashtags, lets start by examining the history of the hashtag. Chris Messina, a social technology expert, came up with the idea of the hashtag in 2007 and asked his followers what they thought about the idea. His idea behind the use of hashtags was that it would allow users to gather discussions and then view them all in one place. Despite the worldwide popularity of the hashtag now, Twitter founder, Evan Williams, actually shared to Messina in 2007 that he “did not think that hashtags were going to be very popular because of their very technical approach.” It is safe to say that Williams was wrong about hashtag adoption, but Twitter and most other social networks have since embraced the hashtag. With the history in mind, now we can focus on the power of hashtags for businesses and why all businesses should be taking advantage of them. Research has shown that posts including hashtags receive significantly more views, shares and engagement than those without. In order to maximize the effectiveness of hashtags, make sure to research the most effective hashtags based on the topic of your post. Tip: create a list of 25-50 potential hashtags related to your business/industry that you can refer back to when needed. Each social network has different tolerances for the number of hashtags per posts, but overusing hashtags can negatively affect your posts. The general rule of thumb is to use 1-3 hashtags per posts, but make sure you do a little research as this number fluctuates depending on the social network. the hashtag will not engage anyways. 1. Use hashtag tools such as RiteTag: Tools such as RiteTag will aid you in finding the best hashtag to use. A common misconception is that you should use the most popular hashtags, but this often leads to posts being lost amongst thousands of other posts. Finding more niche hashtags can greatly increase the overall effectiveness of your posts. 2. Monitor what hashtags influencers in your industry are using: If you are not already connected with the influencers in your industry, do so immediately. These individuals not only have significant power within your industry, but monitoring how, what and when they post can teach you a lot. Monitor what hashtags they use and experiment with them in your posts. 4. Be Careful About Alternative Interpretations: There are horror stories of brands using hashtags that have unintended meanings. Before posting a hashtag, make sure that you know the context of what it is being used for and that the spelling can not be mistaken for something else. A prime example of this happened when DiGiorno Pizza tweeted using the hashtag #WhyIStayed. The hashtag seemed to be harmless, except it was being used for individuals to share stories about why they stayed in abusive relationships. Simply searching the hashtag would have saved DiGiorno from this PR disaster. The power of hashtags is undeniable and the adoption by nearly every major social network proves this. Even if you are already regularly using hashtags, re-evaluate your current strategy to see if it could be improved. Producing high quality content is part of the equation, but getting it seen is another. Using the right hashtags will help you to get your content in front of a larger audience.